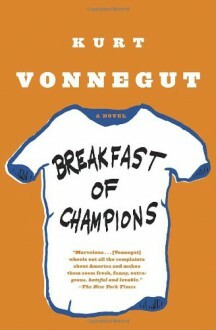 This book is a crazy, seeming to head in all different directions. It covers a lot of social issues and much is about free will. It kind of makes fun of everything and is pretty 'out there' a lot. The way it is highlights how ridiculous things are in real life. No Idea is a mystery romance, which is both thought provoking and emotional in places. With a great mix of characters, humour, adventure and an interesting twister of a plot, I think this would make a great TV mystery drama series. This book takes the reader on a journey, as Rob Wise (or should that be not-so-wise, seeing as he seems to have no idea about a lot of things in his life), experiences transition and self-improvement on a personal, professional and spiritual level. Covering as far back as Rob’s childhood, there is a hint of coming-of-age to this storyline, although the main focus is on Rob’s life as an adult. The reader enters Rob’s life when it has pretty much hit rock bottom. The way he was living with his housemates made me think of a cross between Trainspotting and Spike (the bloke in pants) in Notting Hill. Rob has SAD, which is a form of depression and has lost all motivation. He has no idea what he is about to face and how much his life is about to change. This story keeps you guessing throughout. Initially, I had no idea where the story was going to take me, but then things started to take shape, and I thought I knew what was going to happen, but then something would be thrown in to the mix which left me with no idea where the story was going all over again. I think the title, No Idea is great, as it not only reflects Rob’s life, but also the reader’s experience of the story and nothing being quite as it seems. If you fancy a book that has you giggling, gasping and guessing, then this is probably the book for you. 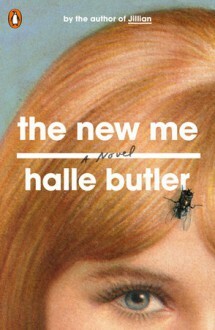 Eager to read more by this author while you wait for No Idea to be published? 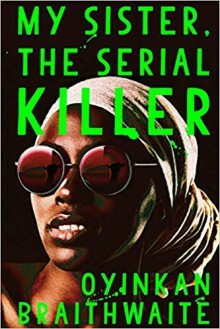 A special thank you to Penguin and NetGalley for an ARC in exchange for an honest review. 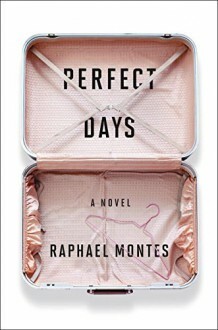 PERFECT DAYS, a satirical/comical psychological thriller by Brazilian novelist and lawyer, Raphael Montes –a dark and creepy game cat and mouse. Which one will win? Will the tables be turned? SHOCK FACTOR HIGH! The subjective measure of the psychological "impact" of any given event. Teo (Theodoro) is a medical student. He wants to be a pathologist. He is comfortable with the dead and the corpse, Gertrude. Teo is not intimidated. The anatomy lab is his domain. He likes the smell of formaldehyde, the instruments in his gloved hands, and he likes having Gertrude on the table. He enjoys her company. His imagination knows no bounds. They had grown closer over the course of the semester. He respected her. She had died of extraordinary causes. Gertrude perhaps would have taught him how to live. He felt like avenging Gertrude. He wasn’t a murderer nor a monster, even though he felt like one. He did not like anyone. He just lived. Teo lives with his paraplegic mother, Patricia and her dog in Rio. The wheelchair was part of their everyday life. His mom wants him to attend a BBQ and he says he is a vegetarian. He attends, and meets Clarice. Well dressed, not exactly beautiful, exotic perhaps. She is studying art at university and interested in screenwriting. She is working on a screenplay called Perfect Days, a road trip across Brazil in search of romance. Amanda, Priscilla, and Carol. You guessed it “Teo becomes obsessed.” Stalking. She rejects him. She tells him he is not her type. They can be friends. She does not want him to bother her, call her, follow her, or buy her presents. With a sociopath —they do not take rejection well. So he takes matters in his own hands, hits her, and puts her in a suitcase and off they go. Drugs, kidnaps, and holds her captive. Two pink Samsonite suitcases. He now is a criminal. He just wanted the best for her. It was not pre-meditated, of course. What if she did not forgive him? He saw her as a diamond in the rough. After all, he was a man of many qualities. Well-educated, with a future. He would be a good father, and a good husband. He is delusional. He would travel with Clarice to Teresopolis and slowly win her over. Let the games begin. He will stop at nothing to get his girl, and remove anyone who gets in the way. After all, there was something magical about what they were doing; packing bags, following an itinerary laid out in a screenplay. They were probing fiction and building a new reality, their own reality. Teo is determined to win in the end--and he, may just pull it off-like a rock star. Twisted, wacky, psycho, crazy, creepy, and chilling. Readers will be reminded of Caroline Kepnes' You and Hidden Bodiescharacter, Joe Goldberg (in more ways than one). In fact, Clarice would be a good match for Joe. If you like dark and witty, in the theme of Norman Bates and Patricia Highsmith —you will delight in Montes' bizarre creation.